50 medium picks with a special Gibson collector's tin. Gibson Guitar Picks are made from quality celluloid in the classic 351 shape. 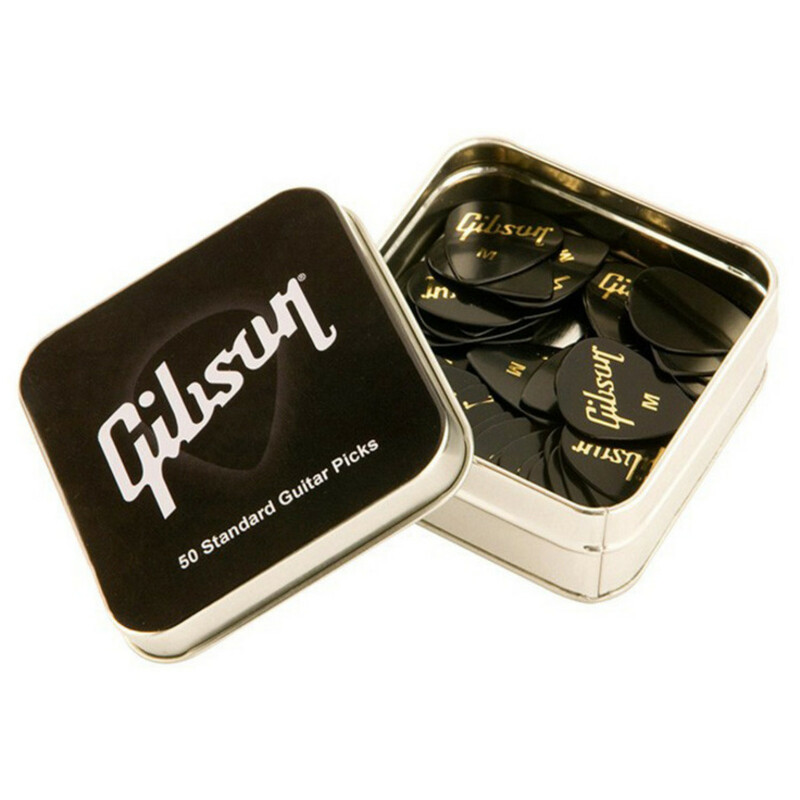 You get 50 standard picks, with some coming encased in a special Gibson collector's tin. There picks are Medium.